Learn more about patient-oriented research May 14-16 at at the 2018 Summer Institute! Sponsorships available for patients and students. Are you interested in learning more about health research and the important role of patients/students/citizens? There’s an opportunity for patients and students to attend a conference in Calgary to learn, share, and network about patient-oriented research. 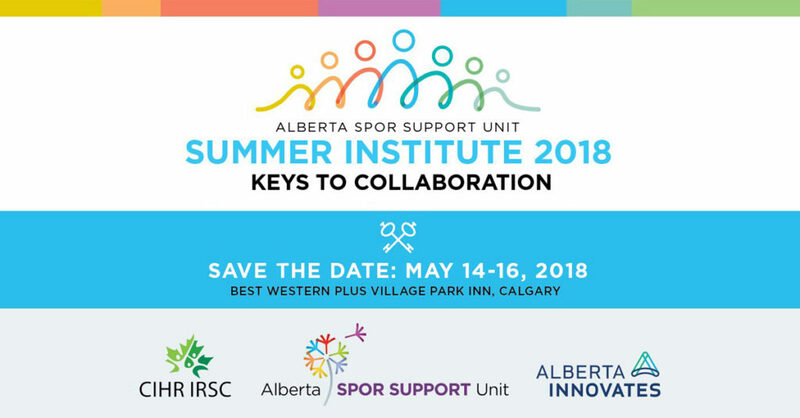 The Summer Institute 2018: Keys to Collaboration Conference will be held May 14-16, 2018 in Calgary. Funds are available for 30 patients/students/citizens to receive reduced registration and/or accommodation, and another 15 patients/students/citizens to receive reduced registration, travel, and accommodations for this conference. Please note: all subsidized participants will be required to pay a $50 reduced registration fee. Subsidized participants will be offered the option to volunteer for one session or workshop in the conference. The following Expression of Interest application Form must be submitted prior to March 31, 2018 to be considered for one potential sponsorship opportunity. All Albertans are eligible to apply. All applicants will be notified of the status of their application no later than April 15, 2018. Full event details at the button below. Definition of a Student : A student should be currently enrolled full or part-time time pursuing an undergraduate or graduate education. Definition of a Patient: An overarching term inclusive of individuals with personal experience of a health issue and/or, informal caregivers, including family and friends.